Use up scraps … have some fun … and raise some money for the guild by making fabric postcards. 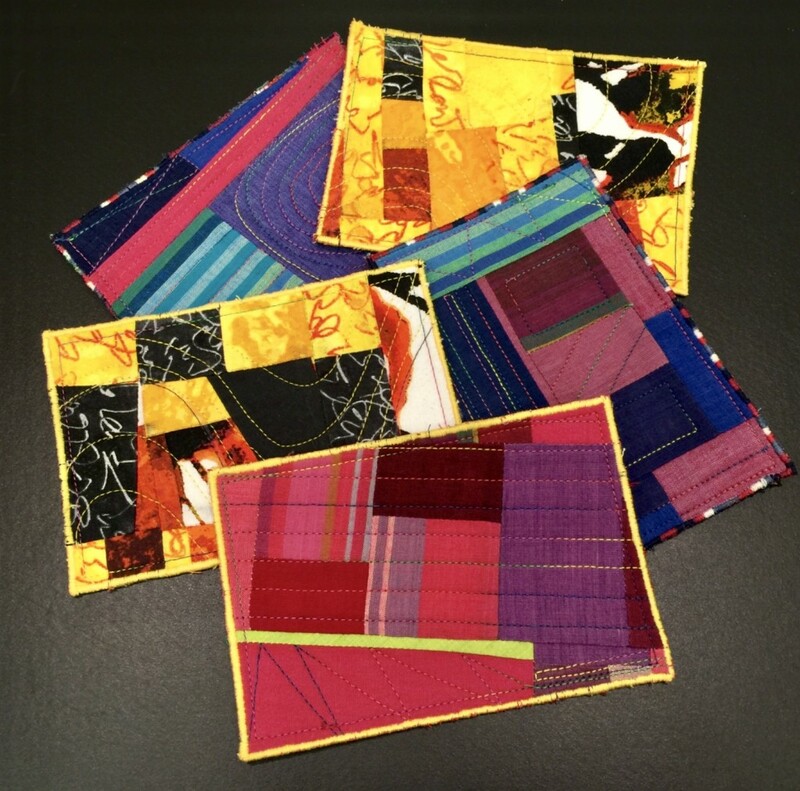 Postcard sales are a great moneymaker at the guild’s biennial quilt show and at other events. At 4×6 inches, they’re quick and easy to make. Pick up components—fusible stiffener and cardstock backing—at guild meetings. You can also help finish up cards by adding decorative stitching to the front or sewing cardstock to the back. Details are in this Postcard Instructions PDF. Questions? Please get in touch with Janet Mednick; her contact info is in the Membership Directory.